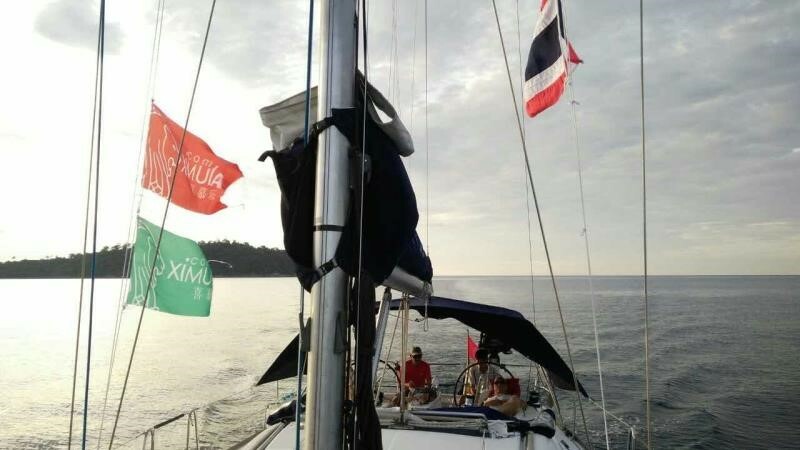 The Phuket King’s Cup Regatta is set to start on 22nd November 2016. 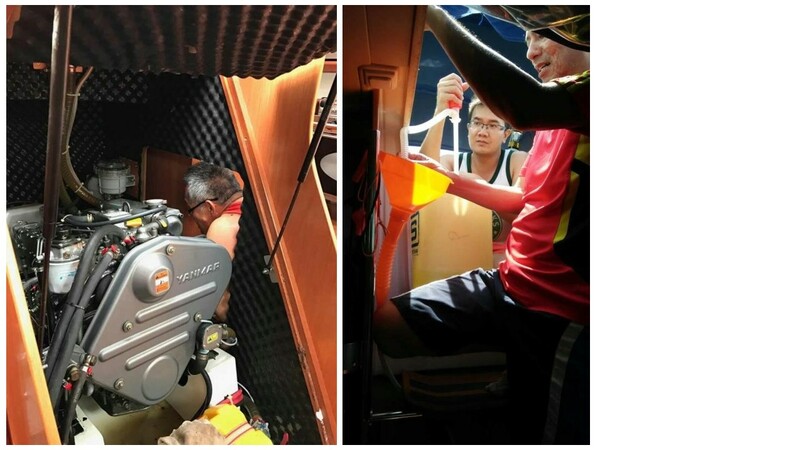 Our team prepares for the 10 day sail from Singapore to Phuket for our first overseas regatta debut. The journey was filled with unexpected surprises! 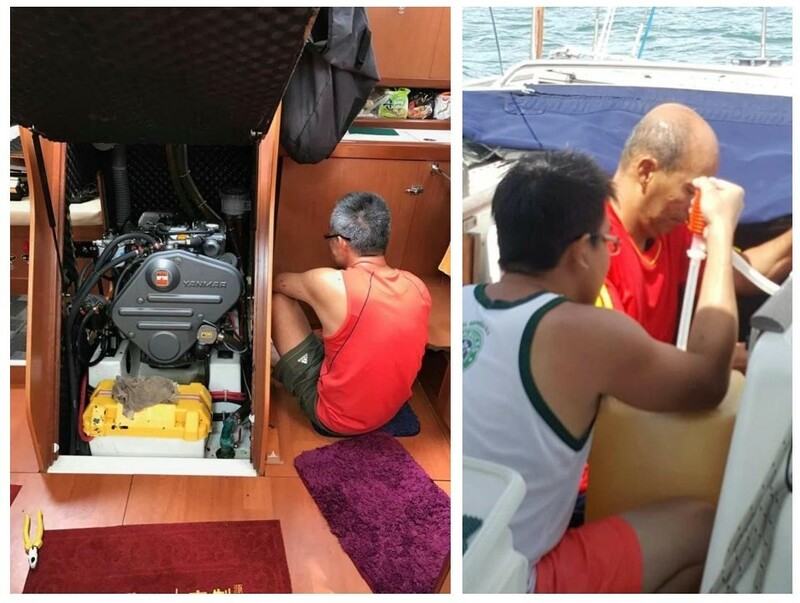 On the second night of the trip, the engine let out a whisper and stopped working at roughly 3am, leaving our team to continue sailing with only wind into the daylight. The captain consult his professional mechanic brother through a satellite phone, but little was achieved as we continue to find the source of the problem. 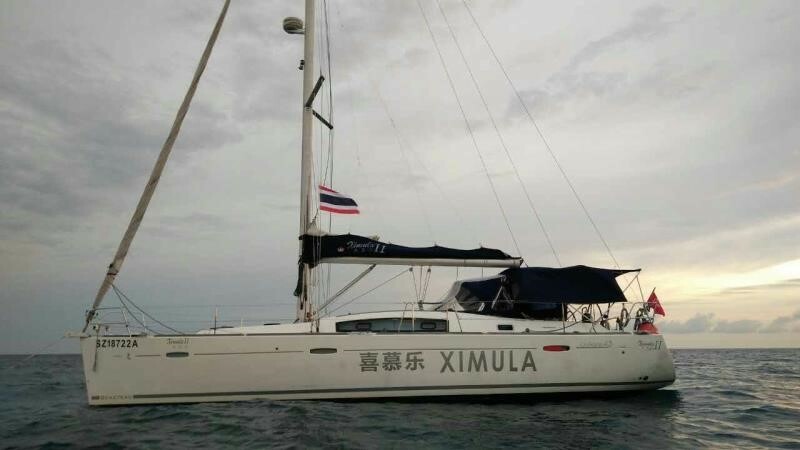 To make matters worse, the wind was getting weaker, leaving our team stranded and floating in the middle of the sea for close to 3 hours. Luckily, the wind started getting stronger. We release our sails once again and managed to sail to the nearest fishing village about 20 nautical miles away. 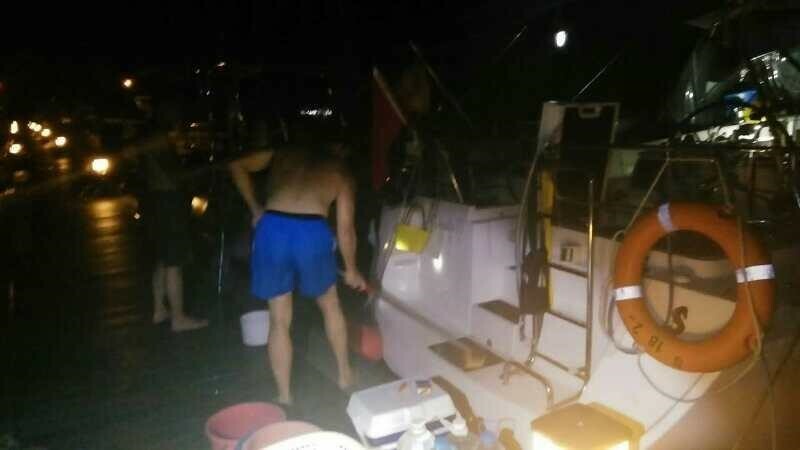 Our team tried to look for help from the experienced fishermen as our captain contact his brother once more. The professional opinion of the captain’s brother suspects that there may be some blockage from the fuel to the engine. To put his suspicion to test, the team manually pumped fuel into the engine and prove it true as the engine started working. They had to remove the fuel tank and clean it thoroughly before continuing on their journey. This episode has set the team back by about 10 hours. Even though we are in middle of the sea, if the propeller is entangled, we will have to dive in to clear it ourselves. 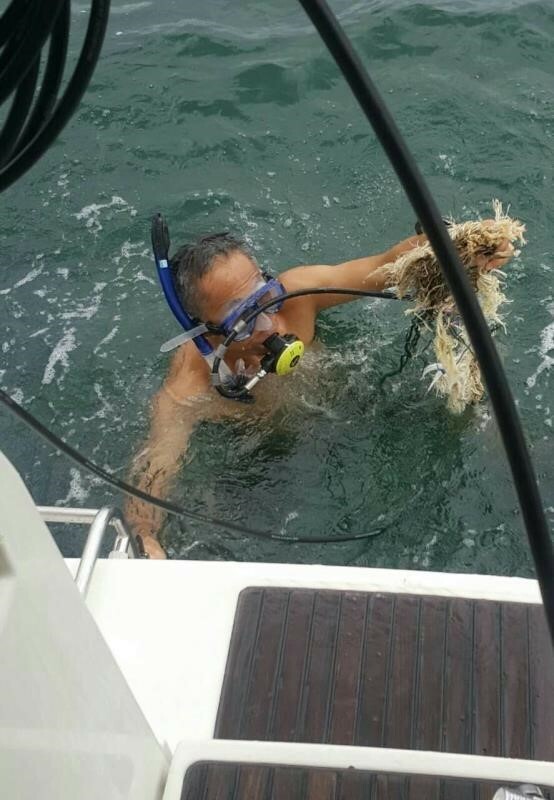 Our captain personally dived in to remove an entangled rope! Life at sea sure is tough! 26th November 2016, fourth day into the journey. We have reached one of our stops to replenish our supplies and conduct some cleaning to prepare for the next half of the trip. 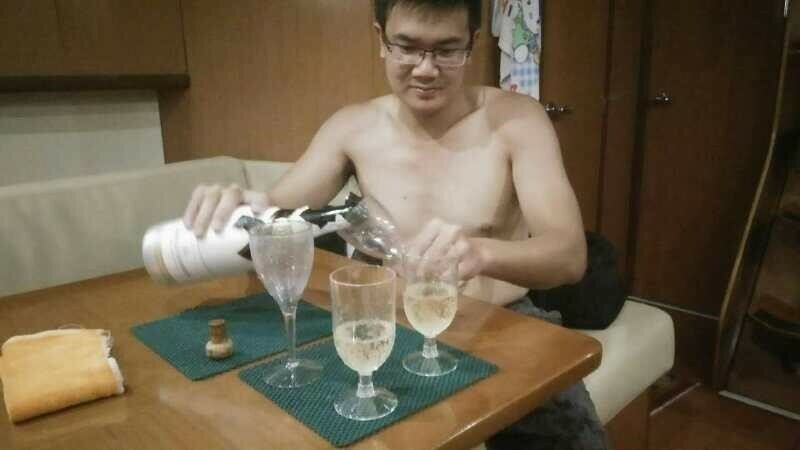 After sailing continuously for 84 hours, our team celebrated with champagne at the thought of having a good rest for the night! 28th November 2016, sixth day into the journey. 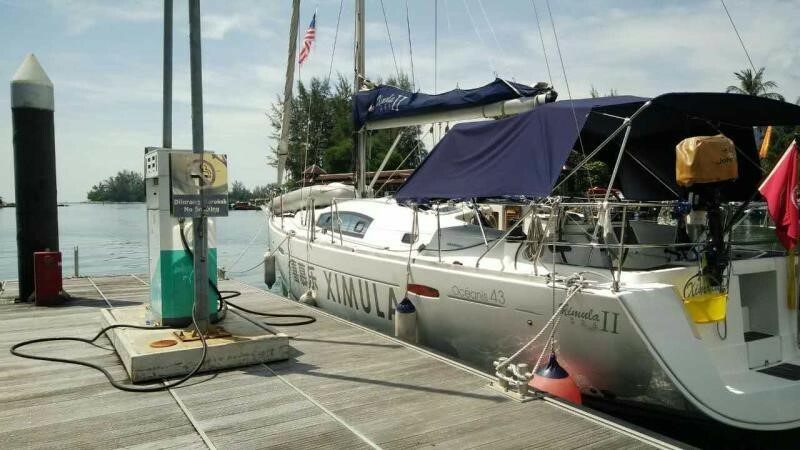 With the fuel refilled, our team left Langkawi, Malaysia for a 4 hours journey to Ko Lipe, Thailand. 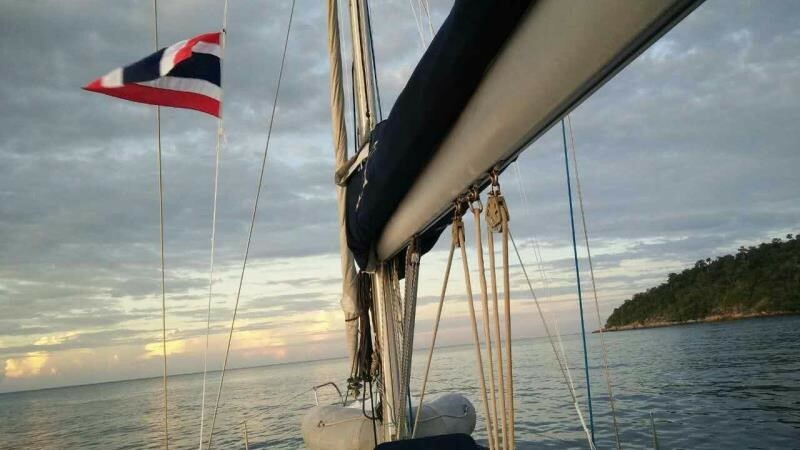 As we officially enter Thailand waters, we switch our flag to the flag of Thailand before moving on. 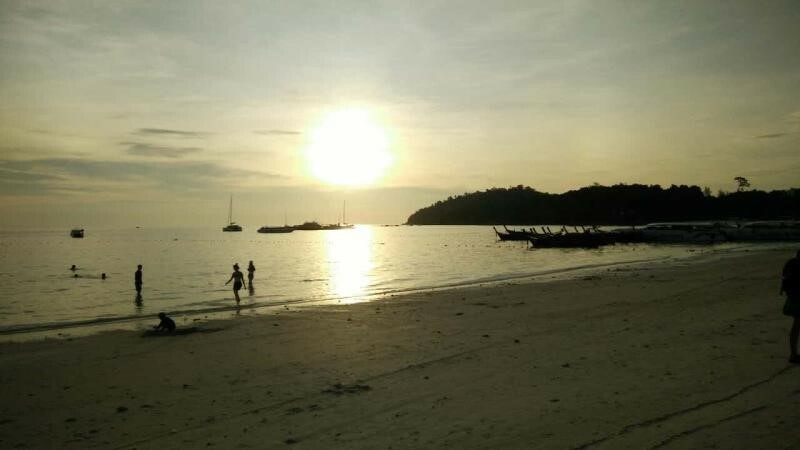 We reached Ko Lipe just before sunset and anchored for the night, before continuing to Phuket tomorrow. 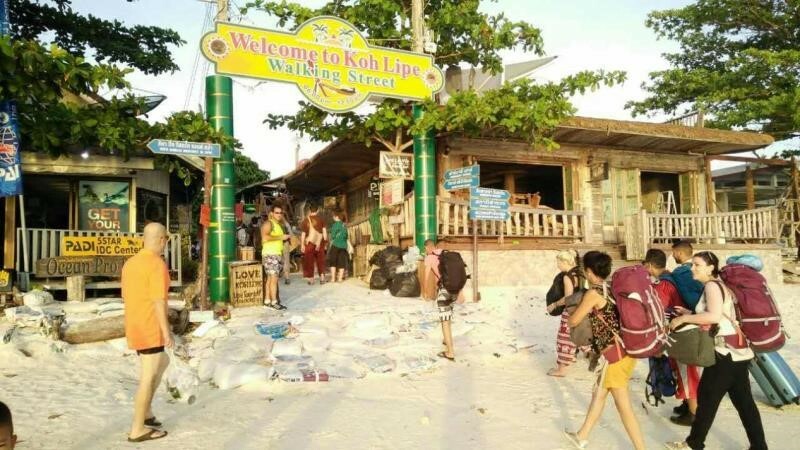 As the sunset blush over Ko Lipe, the island came alive with its glowing beach and beautiful bay, it truly is a holiday paradise for rest and recuperation. 30th November 2016, eighth day into the journey. We set off at 7am towards our final destination, Phuket!